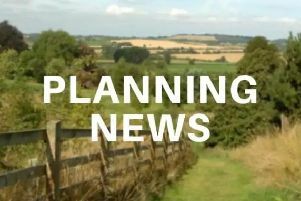 A new neighbourhood on the northern edge of Daventry which could house up to 450 homes has been granted planning permission. The proposal for the first phase of the development on Mickle Well Park, near Lang Farm and Middlemore, will see 106 houses built on a 17.5-hectare site. The overall masterplan designed by JTP for Landform Estates got planning approval in 2015 and includes a primary school, a community centre, shop and a GP surgery. JTP partner Graeme Phillips said: "From the beginning of our involvement on this site we have sought to address the challenge of establishing a new and growing community on the northern edge of Daventry. "This has been done through thoughtful design that creates points of focus and interaction - whilst reaching out to public open space, routes and landscape beyond. "It is this access to shared and welcoming outdoor environments that will help stitch Mickle Well Park into the wider fabric of the town." The site includes more than 11 hectares of green and landscaped spaces with allotments and wildlife habitats. It also includes space for woodland and wetland habitats, recreation and food production - including an orchard - to "support a cohesive community, leave a positive impact on the environment and encourage sustainable lifestyles". The scheme includes a mix of apartments and two to five-bedroom houses.